Minimum age for a Student Pilot Permit is 14. This allows a student to fly the airplane by themselves without an instructor. Minimum age for a Private Pilot Licence is 17. Minimum hours required 45, minimum dual 17, and minimum solo 12. 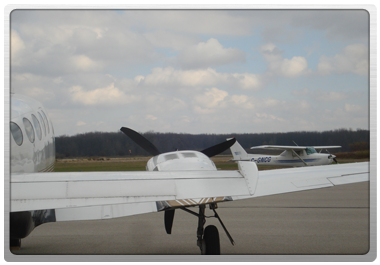 The Tillsonburg Flying School offers a ground school for the Private Pilot Licence that runs for 17 weeks on a weekday evening.